There is a new thread on the Webmasterworld forum about the data quality we webmasters get from Google on various platforms. It’s the first article in a weekly series of moderator opinions. IanTurner describes how Google Adsense is showing an elevated pageview and you should keep your own records to know what’s going on. It would be Google’s interest to fix this since other platforms that filter out this traffic will show better metrics, urging webmasters to move over. He then goes on with Google Analytics and how it is showing fake views and leaving out Bing as referrer completely. Do you see this happening with your properties? Do you agree with some of the comments? Forum discussion on Webmastersworld forums. Apple is Cutting Out Google (and the Web)? 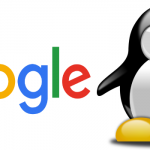 Did Google Just Run Penguin?